This is the first appearance of the Republic of Equatorial Guinea on the numismatic scene in seventeen years. The gold 1,000 CFA Francos coin dated 2014 is another entrant in the “world's smallest coin” category with a weight of .5 grams of .9999 pure gold. It is the standard 11 mm in diameter, in proof quality, and with an mintage limit of 15,000 coins. 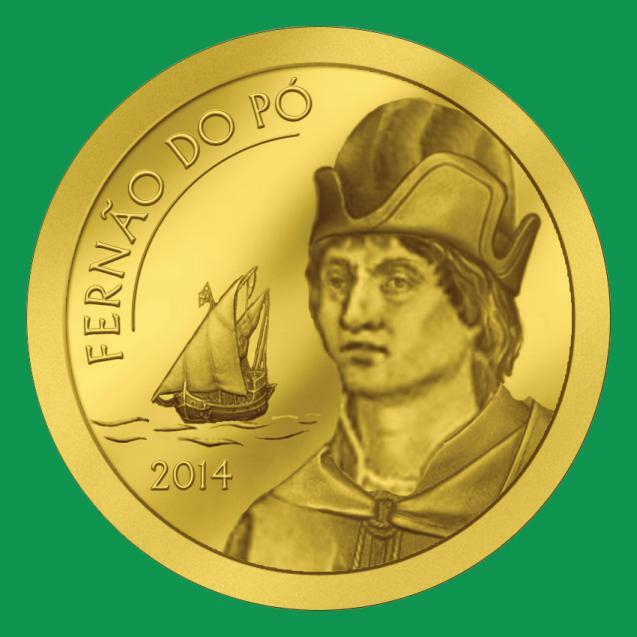 The coin's obverse shows Fernando Pó, the 15th century Portuguese navigator and explorer who in 1472, in the service of King Alfonso V, explored the southwest coast of Africa and discovered the island of Bioko in the Gulf of Guinea. Bioko is Equatorial Guinea's northernmost component and the site of its capital, Malabo. To Pó's right is the traditional Portuguese ship of discovery, a caravel.